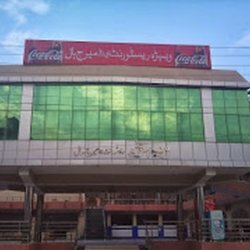 A complete List of Restaurants and Best Dining in Sargodha Pakistan with the menu, prices, location, map, address and contact details. You can also check public and customer reviews here before reserving your Restaurants in Sargodha. In this list, you can find the best restaurants in Sargodha, there are lots of popular restaurants in Sargodha which are best known for their services, seating capacity, hygienic atmosphere. You can also find the best restaurants in Sargodha for your meetings, groups parties, hangout, dates, birthdays, weddings, father's and mother's day, even for your anniversary. It is a good place in terms of food they provide. Zam Zam Restaurant has all the variety of Paksitani and fast food items. One of the famous restaurants in sargodha. Providing some delicious fast food to the locals, Vehra restaurant is a place to be. Among the well known restaurants across Pakistan. Usmania Restaurant is great place for dinner and lunch occasions, with some really tasty food. Taskeen restaurant is a famous restaurant. You will find some tasty food there, along-with some fresh and peaceful environment. PC is very much well known all over the Pakistan their hospitality is not at all questionable in any manner. AFC restaurant is very well known in town due to its delicious taste of fast food and pizza. they have very calm environment. Apna Dera restaurant is very good in Pakistani food they serve delicious and mouth watering food to the town.